Each month we have the opportunity to sit down with one of our highly valued team members, and in doing so we hope to share a more personal side of them with the patients, caregivers and medical staff that visit our CERN Foundation website. Secondary to these efforts, we here at the CERN Foundation have also truly enjoyed hearing what brought our colleagues to become a member of our team. Most often they have been affected in a personal manner, whether it be a family member or close friend that has been touched by an illness or injury. This was the case for our Executive Director, Charles “Chas” Haynes, whom we had the pleasure of speaking with this month and who reminded us once again, of the dedication CERN Foundation team members have in supporting our organization’s mission. Born and raised in London, Chas moved with his parents and brother and sister, to the United States when he was thirteen years old. After graduating from high school, he attended the University of Texas in Austin, where he earned an undergraduate degree in government. After graduation, Chas went to work for American Express in New York City where he developed a broad skill-set in marketing and communications. He didn’t know it at the time, but that skill-set would lead him to help his family in the midst of a tragic event that would change their lives. Shortly after their family moved to Texas, his sister Bonnie was injured in a car accident that left her in a coma for 3 months. As a result of Bonnie’s injuries, Chas’ father became heavily involved in brain injury advocacy, and eventually became one of the country’s principal advocates for brain injury while serving as Chairman of the Board of the Brain Injury Association of America (BIAA). During this time, Chas began working closely with his father, applying the knowledge learned at American Express to help advance the mission of BIAA. 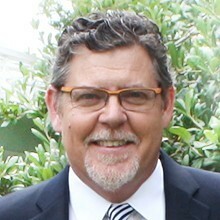 In the midst of his involvement with the Brain Injury Association, Chas earned a law degree from South Texas College of Law. Upon graduation, though, he realized that non-profit association management was his true calling. Soon, he branched out into other areas and began working with groups focusing on spinal cord injury, independent living and oncology. In 2006 Chas was named as the Executive Director of the Society for Neuro-Oncology (SNO), the leading organization for physicians who specialize in the care and treatment of patients with central nervous system tumors. Because of his track record of success at SNO, in 2010 the leadership of CERN asked Mr. Haynes to join the Foundation as its Executive Director on a part-time basis; still allowing Chas the ability to remain actively involved in SNO. As the Executive Director of the CERN Foundation, Mr. Haynes is responsible for assisting the leadership in managing the day-to-day administrative operations of the Foundation and ensuring good stewardship of the resources that have been entrusted to us by our supporters and donors. He also oversees CERN’s awareness and outreach efforts, playing a leadership role in organizing the first Annual Ependymoma Awareness Day in 2012. This event was an extremely important milestone for CERN, as it allowed us to reach out directly to the patient and caregiver community. This community outreach is precisely what Chas thinks makes the CERN Foundation unique and he had this to share with us, “Unlike many funders, CERN takes a holistic approach – we’re coming at this disease from all angles. Of course our main focus is on research and the development of new clinical trials, but we are also making it a priority to reach out to the patient and caregiver community. This, in turn, will help us to better understand the disease, accrue patients to our open trials and in the process improve the quality of life for those living with ependymoma. It’s so exciting being involved in the CERN Foundation not only because of this holistic approach, but also in terms of how our research enterprise is structured. We have successfully created a platform for communication and exchange between bench scientists, translational researchers through to the clinicians on the front lines of treatment. Moreover, this unique model has the potential to be applied beyond ependymoma to other orphan cancers and diseases.” Chas’ hope for the future of the CERN Foundation is not only that we reach our goal of developing effective treatments for ependymoma, but to also help patients and caregivers cope and manage the effects of this disease – an effort that requires not only the participation of the medical field, but that of the patient and caregiver community, as well. Chas and his wife, Sharon, live in Houston with their daughters, Tuesday and Kallan, their two dogs, Nori and Bean, and cat, Q-tip. As a family they are actively involved in horseback riding and skiing. The whole is only as great as the sum of its parts, and Chas is both grateful and honored to work with dedicated colleagues including Diane Hirakawa, Mark Gilbert, Terri Armstrong, Kim Wallgren, Saba Abutaseh and Kristin Odom.